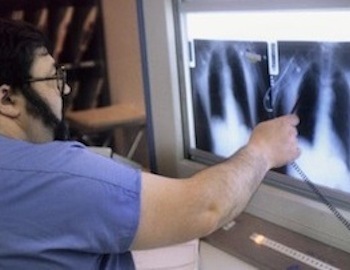 Recent reports of a pilot lung cancer screening programme across Scotland were reported by the media with much excitement, and understandably so. Scotland has one of the highest rates of lung cancer in the world, and tobacco smoking causes the majority of cases. With early diagnosis patients have a 60 per cent chance of survival, but where the cancer is well advanced at diagnosis the survival rate drops to just one per cent. Currently, early detection rates are poor – 85 per cent of patients remain undiagnosed until the disease has reached an advanced stage and fewer than 9% of patients are still alive five years after diagnosis. The pilot project is part of the Scottish Government’s Detect Cancer Early programme, which aims to increase the early detection of cancer by 25 per cent, enabling patients to be treated when their general health is better and when less aggressive treatment may be required. Screening will involve those considered at high risk for developing lung cancer – people who have smoked at least 20 a day for more than 20 years. Half of the 10,000 people recruited will get a blood test which will identify antibodies in the blood that are produced by the immune system when lung cancer is present. Tests based on antibodies have been available for a number of years but until now have not been sensitive enough to accurately detect cancer. Patients with increased levels of the antibodies will then be referred for a CT scan. There is some evidence to suggest that participating in a randomised controlled trial on lung cancer screening has negative psychosocial consequences for the apparently healthy participants—both in the screen group and in the control group, with the greatest negative impact for the control group. Also the research trial may raise hopes and expectations of a national screening programme and a general belief that the disease can universally be detected early so decreasing anxiety in relation to smoking. A negative result for lung cancer will undoubtedly be a great relief but should not negate the importance of other smoking related conditions including many lung and cardiovascular problems. Still, the claims that this test can identify cancer up to five years before it would be detected in other ways suggest there is good potential in this approach, which could, if successful, revolutionise how cancer is diagnosed and mean treatment can start at a much earlier stage. For the lives of many individuals and their families in Scotland, this could become a real life-saver. 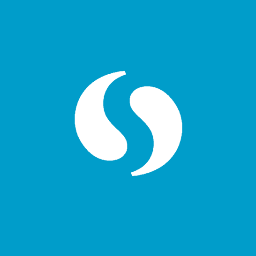 This article was originally published in the SCPN Newsletter, Volume 3, Issue 2. 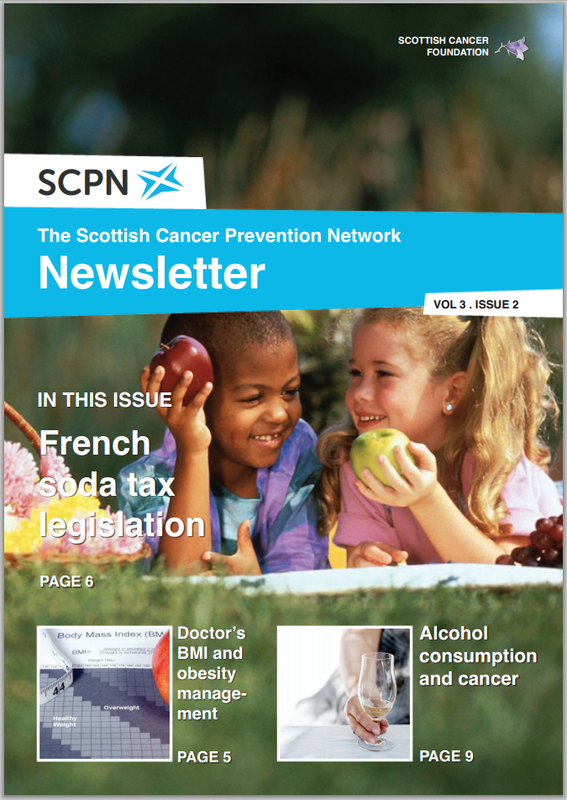 In this issue, we cover the French 'soda tax' legislation, the BMI and obesity management of Doctors, alcohol consumption & cancer, and more.